It’s the most wonderful time of the year for watch lovers, because the Salon International de la Haute Horlogerie (SIHH) is just around the corner. 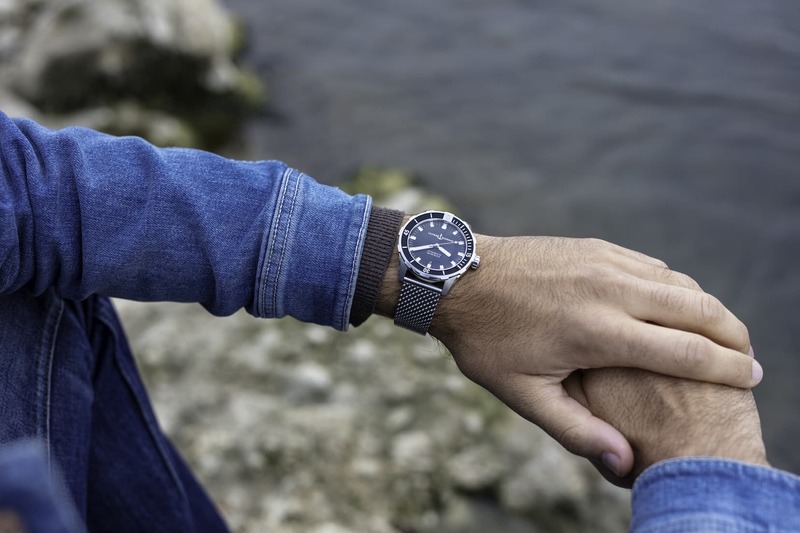 The 29th edition is shaping up to be a pivotal moment for the luxury watch industry: Attendance numbers are predicted to set a new record, although these statistics are slightly overshadowed by an air of change, possibly permanent, upon the horizon. In late 2018, Audemars Piguet and Richard Mille announced that 2019 would mark their final year of direct participation at SIHH. The departure of the Salon’s two largest independent brands has been met with much speculation — fuelled by the similarly controversial flight of Swatch Group at Baselworld last July. At this stage, it’s difficult to gauge what precise effect these departures will undoubtedly have on the fair — the Fondation de la Haute Horlogerie (SIHH’s organiser) is already moving to reposition the event as more inclusive, experiential and end-user focused — although both watchmakers are expected to pull out all the stops for their final year of participation. Meanwhile, other historic manufactures (Panerai, IWC, Vacheron Constantin, etc.) are ploughing ahead with “business as usual” and teasing the first highly anticipated releases of 2019. 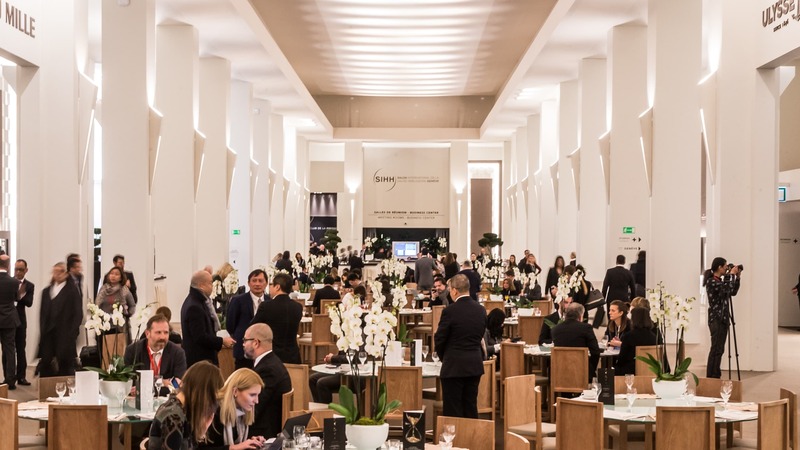 We’ll be attending SIHH and bringing you on-the-ground coverage via Instagram. In the meantime, whet your horological appetite with our rundown of the five timepieces we’re most excited to see next week at SIHH 2019. Although Cartier's newest Privé capsule will include rose gold, skeletonised and dual time variations, we keep coming back to the pared down elegance of the Tonneau Large. In platinum, its colourised elements are particularly striking, with the cabochon and blued hands offering plenty of impact. 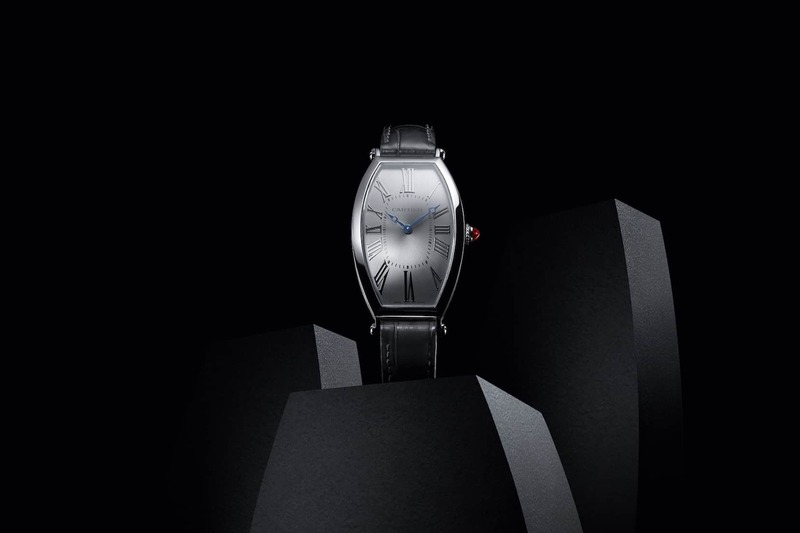 Aside from its mainline releases, Cartier will be launching the Tonneau Large at SIHH 2019. Part of a 4-piece capsule that’s inspired by the maison‘s historically significant designs, the Tonneau Large is a time-only dress watch recalling aesthetic codes originally conceived in the early 20th century. We think this watch does a great job of consolidating Cartier’s existent strategy: offering up an in-house movement and extremely subtle variation on a shape that was already synonymous with the maison. The tonneau can often prove difficult to wear, but Cartier’s designers have clearly applied the lessons they learned early on with the Privé Cintrée. Accordingly, the Tonneau Large demonstrates an elongated profile, curved lugs and gradual symmetry — qualities that all make for a surprisingly wearable shaped wristwatch. 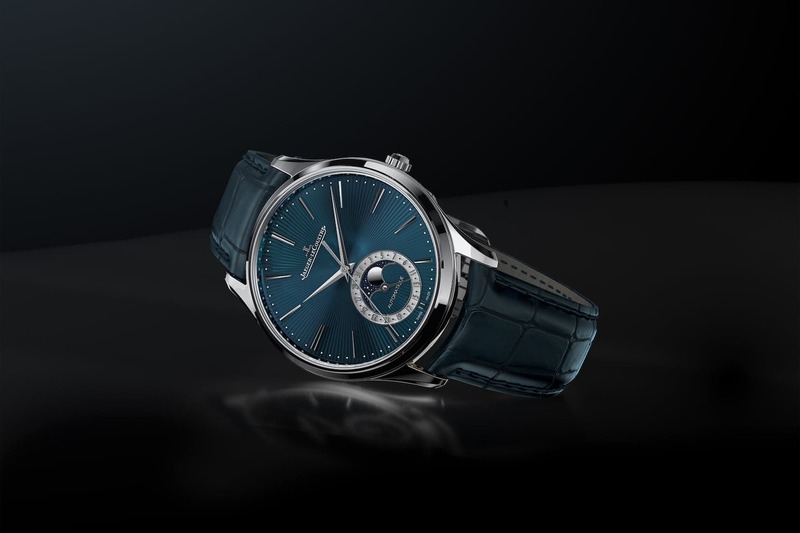 JLC are generally recognised as a high-level technical watchmaker, so the goal with the new Master Ultra Thin was to reacquaint collectors with the brand's more decorative specialisms. Although the 10mm thickness undermines its credentials as a true ultrathin, this is still an incredibly sophisticated and handsome dress watch. “Refinement” is a buzzword that collectors frequently drop when attempting to describe Jaeger-LeCoultre — and rightfully so. Reversos aside, the Le Sentier manufacture is adored for dressy designs such as the Master Ultra Thin. This new iteration on that storied round watch sports a moonphase and enamel dial, showcasing underrated specialisms (i.e. métiers d’art) alongside JLC’s more obvious affinity for complicated mechanical watchmaking. On the latter front, the Master Ultra Thin Enamel is no exception. The new release is powered by a modified Calibre 925 — distinguishable from its spiritual forebear by a much-enlarged power supply (7o hours). At every level, this is a superlative interpretation of the archetypal dress watch, the frosted date display, platinum case, and hand-guilloché enamel all lending a kind of timeless, almost-anachronistic appeal. Nardin's new Diver 42mm brings the brand's eponymous tool watches back into line with contemporary sizing. Most of the dial elements will prove reassuringly familiar, however a quick glance at the 6 o'clock position reveals the geographic coordinates of the brand's manufacture - located in the Neuchâteloise municipality of Le Locle. For SIHH 2019, Ulysse Nardin has decided to kick things off with a release that is the antithesis of last year’s Freak Vision. The straightforwardly named Diver takes design motifs from Nardin’s flagship collection of the same name and reduces them to an easier-wearing 42mm proportion (until recently, all Nardin divers measured 44mm or more). Granted, the Diver 42mm won’t be winning any awards for innovation but, being a tool watch, there’s no expectation that it should be. The knurled bezel, grained dial, baton-style hands and (optional) Milanese bracelet all coalesce in a way that sets this Diver apart from more commercially notorious tool watches. Like last year's Carré H, the new(ish) Arceau 78 favours subtle artistic codes in lieu of all-out horological firepower. Multiple finishes are used on the dial side (e.g. polishing, sandblasting) and these nicely complement the watch's standard-issue Barenia leather strap - supplied of course by Hermès tanneries. Since the mid-2000s, Hermès has invested significant resources into upgrading their capacity for haute horlogerie. (You may recall they acquired 25 percent of movement manufacturer Vaucher in 2006.) That being said, rather than seeking to measure and record time with utmost precision, the most memorable Hermès timepieces embrace the maison’s art object philosophy. The desire to go beyond the traditional constraints associated with watch design fully informs their newest release — the Arceau 78. The original Arceau was conceived by Hermès art director Henri d’Origny. 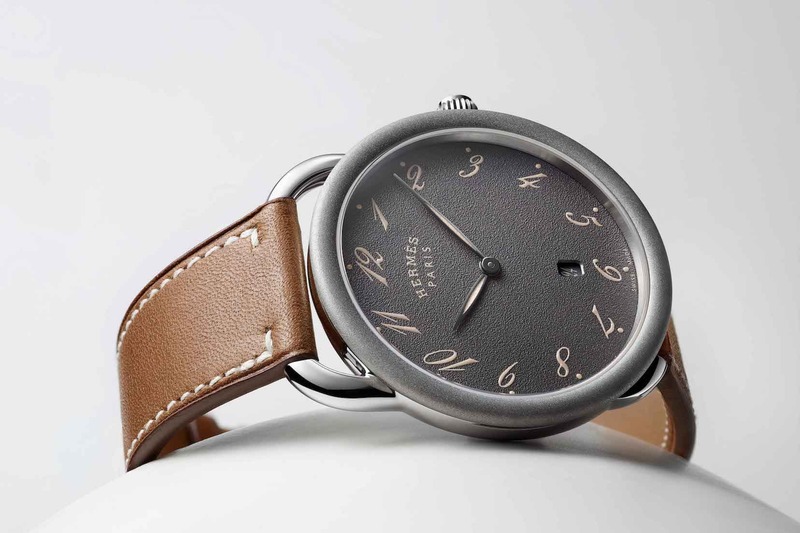 Like its predecessor, the 78 embraces the goal of being the ultimate fashion accessory: It evokes Hermès’s equestrian heritage with stirrup-like lugs and numeric indexes that “gallop” atop a dial resembling fine grains of anthracite sand. Yes, it’s quartz-powered, but in the context of SIHH — a show at which 90 percent of the watches are mindbogglingly complicated — we find that kind of simplicity refreshing. IWC's new Chronograph Spitfire borrows heavily from dial elements that made their debut in the 1950s. The brand's watchmakers were clearly inspired by the influential Mark XI - a design originally based on a standard issue timepiece commissioned by the British Ministry of Defence. Interesting details include period-accurate Arabic numerals and military inspired bronze case. Pilot’s watches have always been a staple in IWC‘s offering, and for SIHH 2019 the Schaffhausen watchmaker is once again debuting a trio of aviation-themed collections. The “Petit Prince” and “Top Gun” releases promise an array of novelties — the former collection includes the first ever IWC pilot’s watch to sport a constant-force tourbillon — but it’s the Spitfire line that had us hooked right away. The bedrock of this collection is the Spitfire Chronograph, named for Reginald J. Mitchell’s superlative WWII fighter aircraft and inspired by IWC’s classic Mark XI design. As you’d expect, it demonstrates most of the qualities habitually associated with effective tool watches (e.g., the dial is balanced, indexes are proportionate and the colour scheme is composed of shades picked for their contrasting visibility). What’s more, this is the first pilot’s watch to be powered by the calibre 69830 — an in-house movement incorporating the classic column-wheel chronograph. 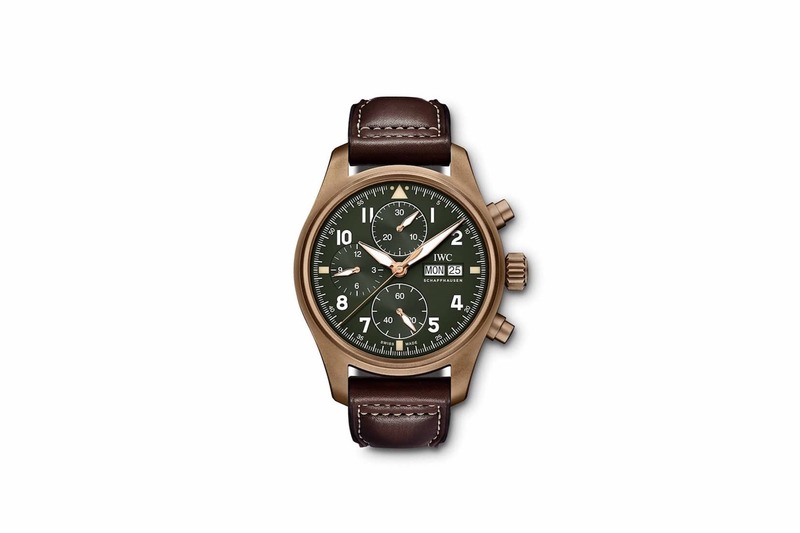 For the estimated price of US$6,000, there’s a lot of love about this military-inspired chronograph.